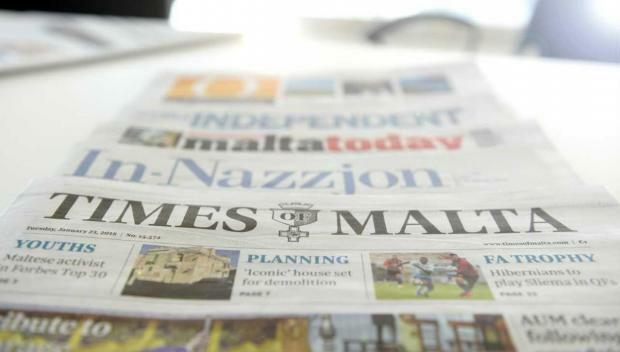 The following are the top stories in Malta's newspapers on Monday. Times of Malta quotes Vincent de Gaetano, former chief justice, as saying that Malta does not have a truly independent judicial investigation system. The newspaper also reports that the Public Service Commission has been ordered by a judge to suspend a promotions exercise in Gozo and to give access to all information to a government employee who claimed the exercise was vitiated. The Malta Independent gives prominence to comments by Health Minister Chris Fearne that if medical supplies are under patent, they have to be obtained by direct order. l-orizzont quotes Prime Minister Joseph Muscat saying that economic success is a means to an end. In-Nazzjon thanks supporters as the PN says it raised €1.54 million in a year.€670,632 were raised in a fund-raising marathon on Sunday.